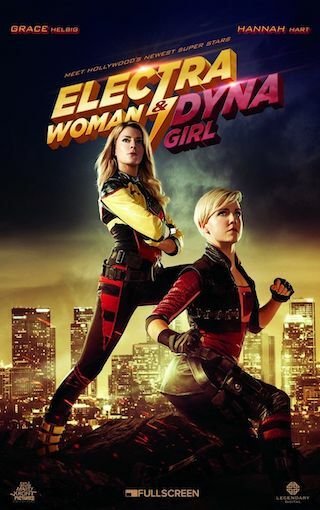 Electra Woman & Dyna Girl is a 15 minute scripted romance television series, which kicked off on April 26, 2016, on fullscreen and is broadcast every at . The show is currently in its 1st season. Electra Woman (Helbig) and Dyna Girl (Hart) are two amateur superheroes who fight crime in their local city of Akron, Ohio. Wanting to be noticed for their actions, they accept an offer to relocate to Los Angeles.Consequentially they find themselves overwhelmed in the crowded superhero business, and additionally suffer from fighting amongst themselves, as Dyna Girl is displeased with being viewed as Electra Woman's sidekick.